ISBN 978-1-922080-50-9 RRP paperback $28 e-book $5. 104 pages. B-format paperback. 198 x 128mm Full colour cover with French flaps. 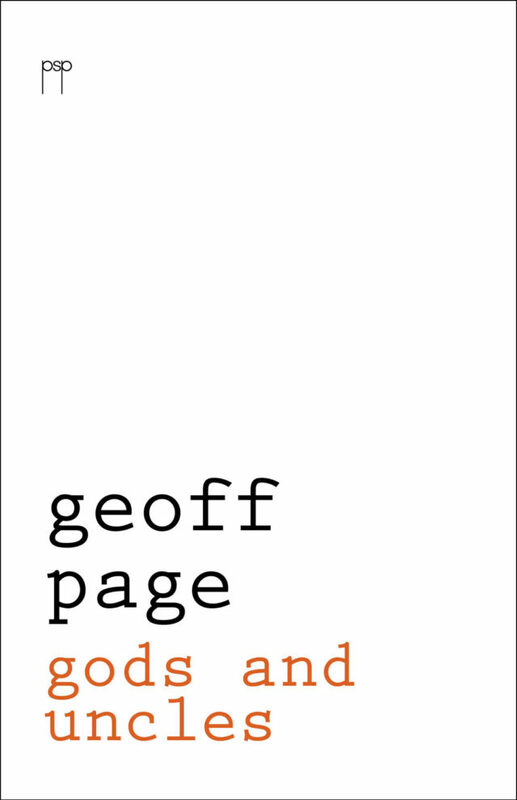 In his new collection the peerless, prolific Geoff Page sweeps from the leery relatives of his past to the no less cryptic deities of his future. or stirred her up in play. There are many wry chuckles – the existential problem of shirts, or Auden vs the indigent. I wonder what their world view holds. Grass, high suns and reproduction? then more or less forgiven? This classic collection of Page-turning poems, light and dark, wry and weary, will delight his legions of loyal fans, not least the ABC’s legendary Adelaide radio host Peter Goers, who recently declared Geoff Page ‘Australia’s finest living poet’.